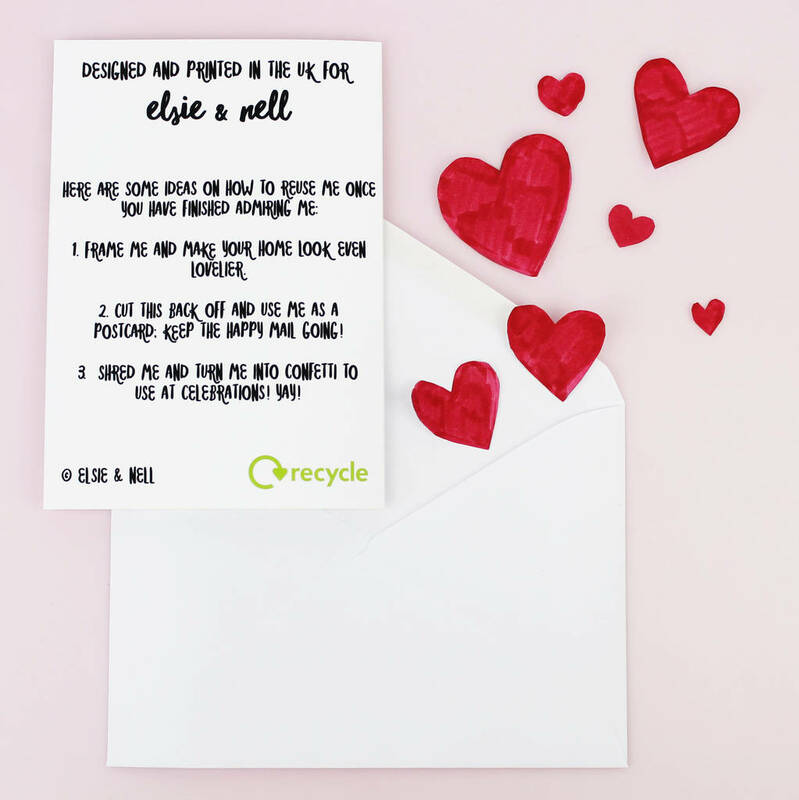 The card has been digitally printed with an original Elsie & Nell design; it's perfect for letting someone know you love them without all the mushy stuff. 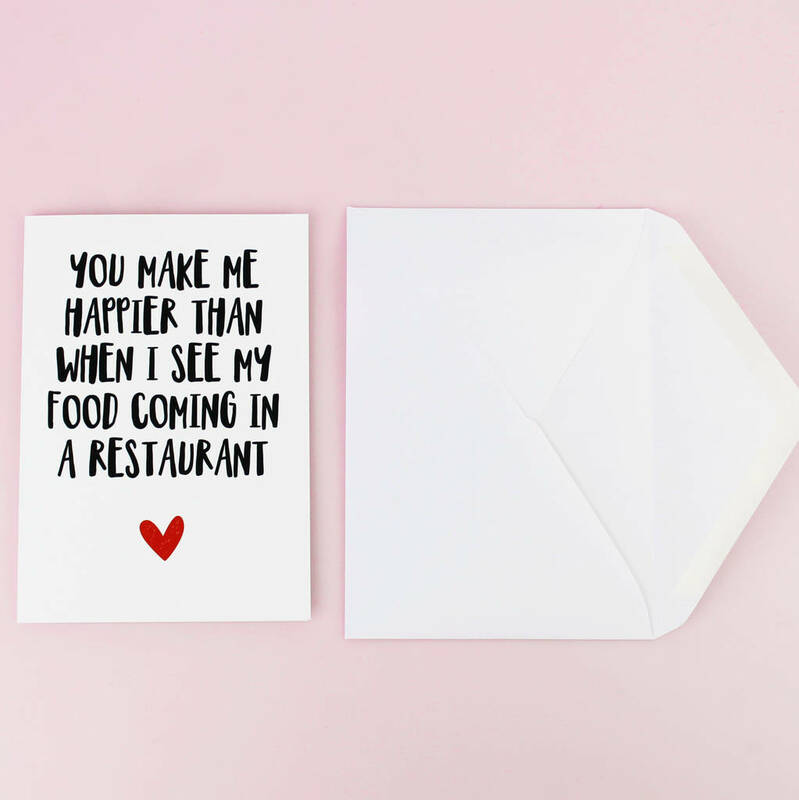 It is blank inside for your own message and it perfect for a number of occassions, including Valentines Day, anniversaries, birthdays or just because you are feeling nice! Please note, the paper hearts are not included. All items are printed in my Sheffield studio, so if you would like an alteration or personalisation, please get in touch! 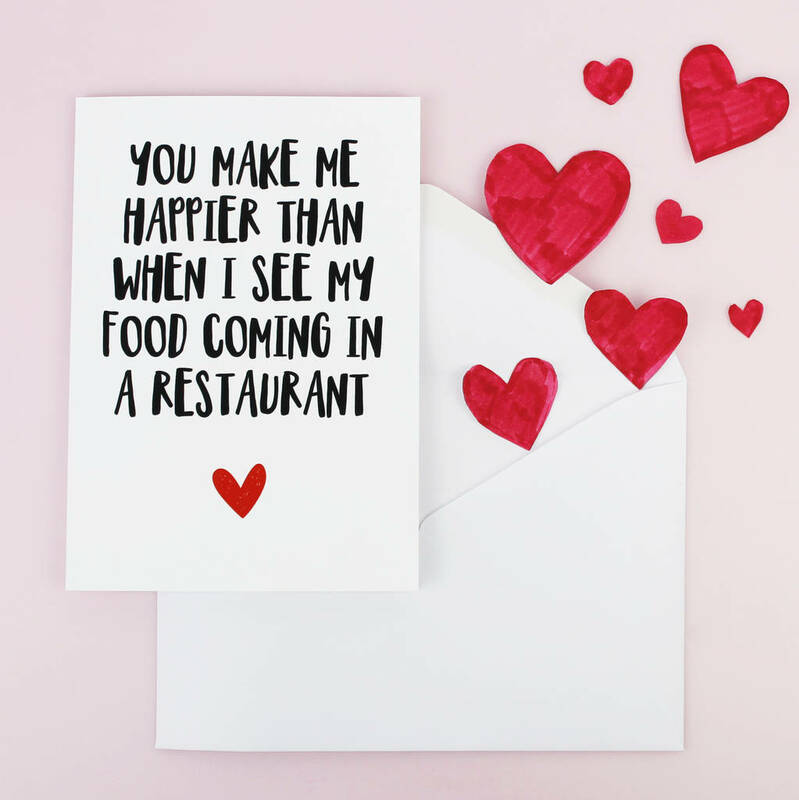 This card is made from heavyweight 300gsm smooth matte card, and comes with a plain white envelope. It has been printed with high quality, fade resistant inks. The card will be sent in a clear cellophane wallet and sent in a board backed envelope to ensure it reaches you in perfect condition. A6 measures 105mm x 148mm.